The biggest non-Hungarian statue in Cluj-Napoca is of Mihai Viteazul, known as Mihai “Bravu” in the southern regions of Romania and “Michael the Brave” in English. Today, there are statues of Mihai all over Romania and several villages bear his name. His incredible claim to fame is that, in the year 1600, he united all three of the majority-Romanian lands – Transylvania, Moldova, and Wallachia – for the very first time in history. Although his combined reign was brief (around four months), that act would later serve as patriotic inspiration for both the 1848 revolutions in Wallachia and Moldova and the historic 1918 declaration in Alba Iulia that led to the creation of the modern Romanian state. But I’ve always wondered how he did it. How did he manage to unite Moldova and Wallachia, a feat that wouldn’t be repeated for nearly 300 years? And how did he become ruler of Transylvania, a territory that the Hungarians never relinquished again to an outsider until 1920? Bow to the giant hat! To better understand the world that Mihai lived in, you have to understand the setting. In 1526, one of the most important battles in late European medieval history took place near the city of Mohacs in southern Hungary. The Ottoman Empire was commanded by perhaps its finest leader ever, Suleiman the Magnificent. And his conquest of Hungary in 1526 nearly led to a Muslim takeover of all of Europe. In 1490, King Matthias Corvinus (the man who has the biggest statue today in Cluj-Napoca) died, and the jealous nobles deliberately weakened royal power. They disbanded the standing army and installed a weak leader (Vladislaus II) on the throne. By the time the weak king died in 1516, a series of peasant rebellions and infighting amongst the nobles had left Hungary a very fractured place. In 1521, the Turks crushed the Hungarians in Belgrade (today’s Serbia). Now desperate, the Hungarians brokered a royal strategic marriage to unite themselves with the Habsburg dynasty that ruled the Holy Roman Empire. Frankly, it was a case of too little, too late. Suleiman marched at the head of his army, and it was almost too easy to crush the combined Hungarian and Hapsburg forces in 1526. By 1541, Buda (today’s Budapest) was firmly in Ottoman hands, and Hungary was effectively divided into three parts. Today, every Hungarian child knows about these events as they are considered probably the worst loss in that nation’s history. Northwestern Hungary, also known as “Royal Hungary”, remained under Habsburg rule and had to move the capital to Bratislava (today’s Slovakia). Central Hungary was annexed to the Ottoman Empire while Transylvania was ruled as a vassal state. By the time Mihai was a young man, the territory we now know as Romania was divided into three main spheres of influence. Transylvania and Wallachia (including Bucharest, the modern capital) were firmly under Turkish control. Moldova was technically also under Turkish control but was regularly contested by Polish (actually Polish-Lithuanian) forces. And Hungary “proper” was a province of the Holy Roman Empire, then ruled by the Habsburg dynasty. In 1593, the leader of the Holy Roman Empire was Rudolph II, one of the strangest rulers in all of European history. Rudolph was incredibly rich, but he never married and spent most of his time holed up with odd men like John Dee (who later “talked to angels” for Queen Elizabeth of England) in his castle in Prague. He spent half his time trying to turn lead into gold and the other half buying rare art and treasures like the Codex Gigas and the “prophecies” of Nostradamus. Despite his reclusive tendencies, Rudolph was fanatically anti-Muslim and was always trying to gin up another Crusade to take back the Holy Land (Israel). In 1594, Rudolph ordered his vassals, Sigismund Bathory, the ruler of Transylvania, and Stefan Razvan of Moldova to raise troops in order to repel Tatar raids against Habsburg lands in Hungary and Romania. Bathory then allied with Polish hetman (roughly “commander in chief” of the army) Jan Zamoyski to cross into what is now Transnistria. 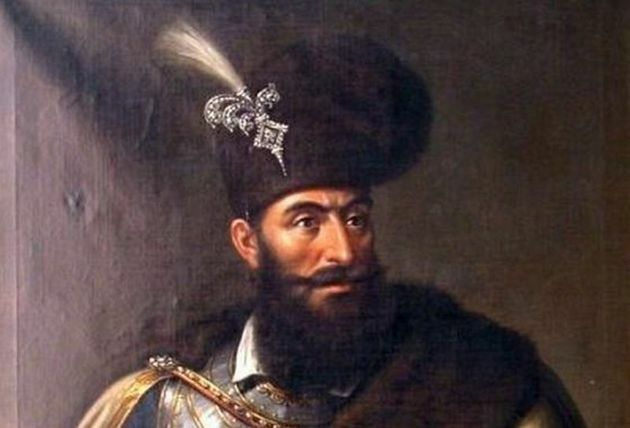 Along the way, Zamoyski’s men removed Razvan from the Moldovan throne and replaced him with Ieremia Movila, a move that deeply angered the Ottoman Empire. As a result, the Turks invaded but were repelled near the town of Tutora. But the fighting ended in a virtual stalemate and Moldova was rather awkwardly forced to pay tribute to both the Polish-Lithuanian Commonwealth and the Ottoman Empire. No one is quite sure when Mihai Viteazu was born, but he was a powerful local leader in Wallachia by 1588 where he served as a court official. In early 1593, Mihai backed the wrong leader (Alexander the Bad) and was forced to flee to Transylvania where he spent a brief time in the court of Sigismund Bathory before leaving to Constantinople, the capital of the Ottoman Empire. From the little we know, Mihai was considered an ethnic Romanian, but his mother was from a noble Byzantine Greek family that played an important role in Romanian history. While in Constantinople, Mihai called on his powerful Greek family relations in order to get support for his ambition to lead Wallachia. He also was able to borrow a large amount of money from an English diplomat so that he could buy the Wallachian throne from the Turks. Despite all the oaths he swore to the Turks, he began rebelling against them almost as soon as he returned to Wallachia. In 1594, Mihai began attacking Turkish positions in southern Wallachia. He formed an alliance with Sigismund Bathory and the new leader of Moldova (Aaron the Tyrant, who also bought his throne from the Turks). Although things were going well militarily, Sigismund Bathory formed an alliance with Stefan Razvan (the recently deposed ruler of Moldova) and had Aaron arrested and imprisoned in Alba Iulia, the capital of Transylvania in those days. A few months later, he was found dead, the victim of poison, and it was widely believed that Bathory had had Razvan executed. In 1595, the Ottomans attacked Wallachia again, and Mihai narrowly won a victory at Calagureni. Later, Mihai counter-attacked and pushed out all Turkish forces from Wallachia for the first time in over a century. Mihai’s forces continued south into what is now Bulgaria, reaching as far as Pleven. By 1597, the Ottomans were forced to declare that Mihai was the undisputed ruler of Wallachia. Nonetheless, Mihai feared a counterattack, and so he signed a treaty with Rudolph II in 1598. After being given substantial amounts of money by Rudolph, Mihai was able to attack the Ottomans again. But the constant fighting was expensive, and Mihai was forced to stop at Vidin (northern Bulgaria) at the end of 1599. Sigismund Bathory, the ruler of Transylvania, was having many difficulties with his nobles following his execution of Stefan Razvan in 1595. In 1598, Sigismund resigned his throne, ceding it to Rudolph II. But then he changed his mind a few months later and retook the throne. But literally weeks later, he resigned once again, this time appointing his cousin Andrew Bathory. Andrew was closely allied with the Polish-Lithuanian Commonwealth, in particular the hetman Jan Zamoyski, who had earlier backed Ieremia Movila as leader of Moldova in 1595. Mihai, now seeing an allied Moldova and Transylvania as a threat to his rule over Wallachia, asked Rudolph II to formally annex Wallachia and place it under his protection. But when Andrew Bathory protested, Mihai immediately invaded Transylvania. Mihai’s forces won a key battle at the town of Selimbar (near Sibiu) in the winter of 1599. And although Andrew Bathory survived the battle, he was killed by discontented Szeklers soon afterward. Mihai then proceeded into the capital of Transylvania, Alba Iulia, and assembled all the nobles. He then forced them to pledge their fealty first to Rudolph II and then secondly to himself, making him the “Imperial Governor” of Transylvania even if he wasn’t officially the prince or ruler of Transylvania. Now officially the Prince of Wallachia and Imperial Governor (de facto ruler) of Transylvania, Mihai next set his eyes on Moldova. In February 1600, he met with envoys of the Polish-Lithuanian Commonwealth and demanded that he be crowned Prince of Moldova in exchange for recognizing the Polish king as his overlord. The Poles resisted, but Mihai led several armies north, crushing the last remaining forces of Ieremia Movila by the end of the spring. By May 1600, Mihai was the de facto ruler of all three of the Romanian-majority territories – Transylvania, Wallachia, and Moldova. No sooner than Mihai had captured Iasi (the capital of Moldova) and thus won the “triple crown”, everything started to go wrong. The angry nobles in Transylvania begged Emperor Rudolph II for help. Rudolph responded by sending in his personal “fixer”, the Albanian-Italian Giorgio Basta. But Mihai didn’t want Basta’s help, so Basta allied himself with the Transylvanian nobles and threw out Mihai at the Battle of Miraslau in September 1600. Meanwhile, Polish forces had entered Moldova and were soon all the way down in Ploiesti where they crushed Mihai’s forces and re-installed Ieremia Movila on the throne. They then placed Ieremia’s brother Simion on the throne of Wallachia. Now desperate to reverse these losses, Mihai traveled west to meet with Emperor Rudolph, begging him for help. Promising to fight back the Turks, something always of interest to the emperor, Rudolph agreed to back Mihai once again. Rudolph then ordered Giorgia Basta to help Mihai win back Transylvania. Sigismund Bathory, who had already resigned the position twice, was back as leader of Transylvania by 1601 after forming an alliance with the Polish-Lithuanian Commonwealth and crushing Basta’s forces. One of mercenaries serving in Bathory’s army, incidentally, was an Englishman named John Smith who would later go on to lead the Jamestown Colony in the United States and become one of the world’s all-time greatest liars. Basta and Mihai, together with the Szeklers, defeated the Hungarian Transylvanians at the Battle of Guruslau in August 1601, but just a few days later, Basta had Mihai executed, apparently on the direct orders of Rudolph himself. And no other leader would ever unite the Romanian lands again until Alexandru Ioan Cuza some 250 years later. Interestingly, what’s never mentioned in any of the Romanian histories of Mihai Viteazu is the eruption of the Huaynaputina volcano in Peru in February 1600, one of the largest volcanic explosions in all of recorded history. So much dust was ejected into the atmosphere that it affected weather across the globe, leading to famines and bitterly cold winters until 1602. Indeed, the winter of 1600-1601 is believed to the coldest winter ever experienced in Europe, and there were famines and crop failures from France to Russia. How much of Mihai’s successes and failures were due to weather changes as a result of that far-off volcanic eruption is unknown, but I have to acknowledge that it must have played a role. Many of the rebelling nobles in Transylvania had been motivated to fight Mihai precisely because his troops were notorious for raiding farms and stealing food. The Ottomans were far weaker than they were both before and later, and I wonder what role the brutally cold winters played in all these events. Regardless of which princes, kings, or sultans won battles or gained territory, the period of Mihai’s reign must have been especially brutal for ordinary people, most of whom were ethnic Romanian peasants. The constant warfare and plundering led to widespread famine, death, and sickness for the vast majority of the people, as all wars do. Mihai was later understandably retconned as the first great Romanian patriot, but there’s almost no evidence that ethnic Romanians profited whatsoever from his brief reign. Nor is there any suggestion that Mihai thought of himself as a Romanian leader as opposed to just an opportunistic conqueror. The three great powers in the region – Hapsburgs, Ottoman Turks, and Polish-Lithuanian Commonwealth – spent decades forcing their serfs and vassals to fight costly wars, and there’s no evidence whatsoever that Mihai’s mission was ever to improve the lot of his “fellow” ethnic Romanians. Indeed, it seems more as though Mihai was motivated by the standard medieval goals of winning gold, land, and glory for himself and his descendants. Mihai’s closest ally was Rudolph II, who was mostly interested in preventing the Turks from expanding their territory (and finding the Philosopher’s Stone). The Poles were anti-Orthodox and fiercely pro-Catholic, and they were vying with Rudolph (who was nominally Catholic but supported Protestantism for political reasons) over who could be the “Christian defenders” of Europe, and Mihai was just a pawn in their games. Except for his political expedience to the great powers, it’s unclear that anyone in his lifetime really even liked Mihai. Even the nobles in his native Wallachia grew tired of Mihai’s constant levies of troops, weapons, and gold in order to fight all his endless wars. Nonetheless, his brief yet very notable successes in the face of the three major powers led many Romanian nationalists centuries later to begin glorifying Mihai’s accomplishments. Mihai was used as a rallying cry and an impetus for (re)unifying the majority Romanian lands and one of the key reasons why the 1918 declaration was held in Alba Iulia. Today, the highest military decoration in Romania is the Order of Michael the Brave, given to such glorious recipients as “Marshall” Ion Antonescu, Nazi leader Hermann Goring, and Vasile Atanasiu, the general who burned Odessa in yet another foolish quest to expand Romanian territory.